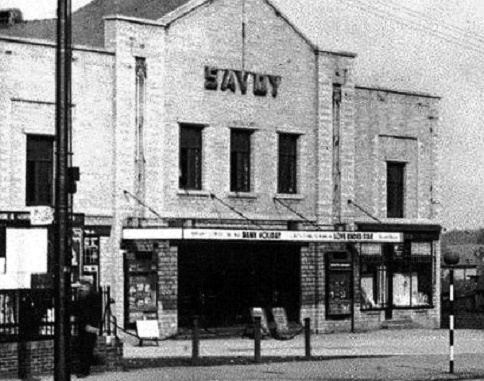 It is believed that the building which the Savoy Bowl occupied was formerly the Savoy Cinema. 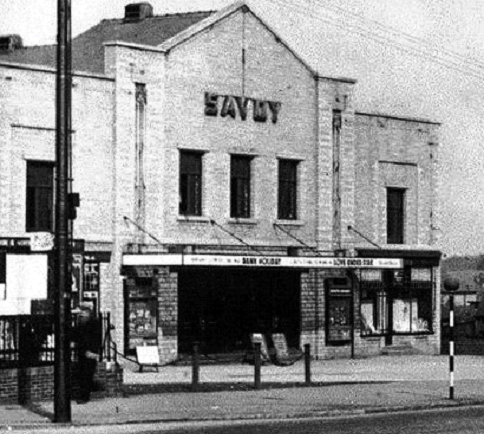 It is not clear when the cinema first opened but by 1946 it was an 1,100-seat cinema operated by Savoy Picture House (Huddersfield) Ltd. From some time in 1948 it was taken over by District Cinemas Ltd of Leeds which also operated the bowling centre. 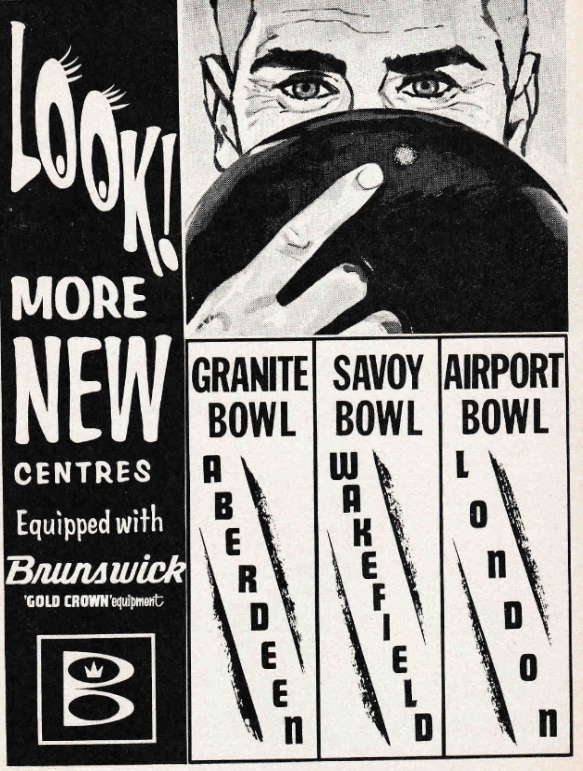 The 10-lane Brunswick equipped centre opened on 25th January 1963. Bowling was very short lived on this site and the centre had closed by 1966. 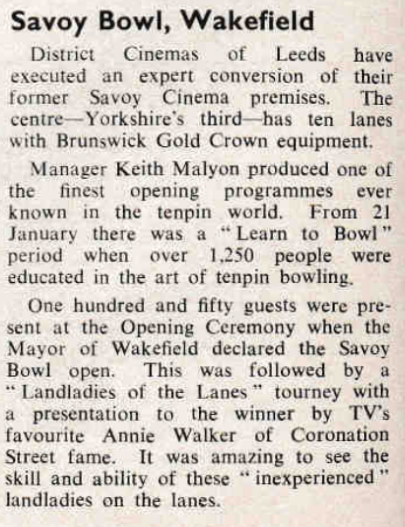 The opening included a “Landladies of the Lanes” with Coronation Street Rover’s Return landlady Annie Walker presenting the prizes.